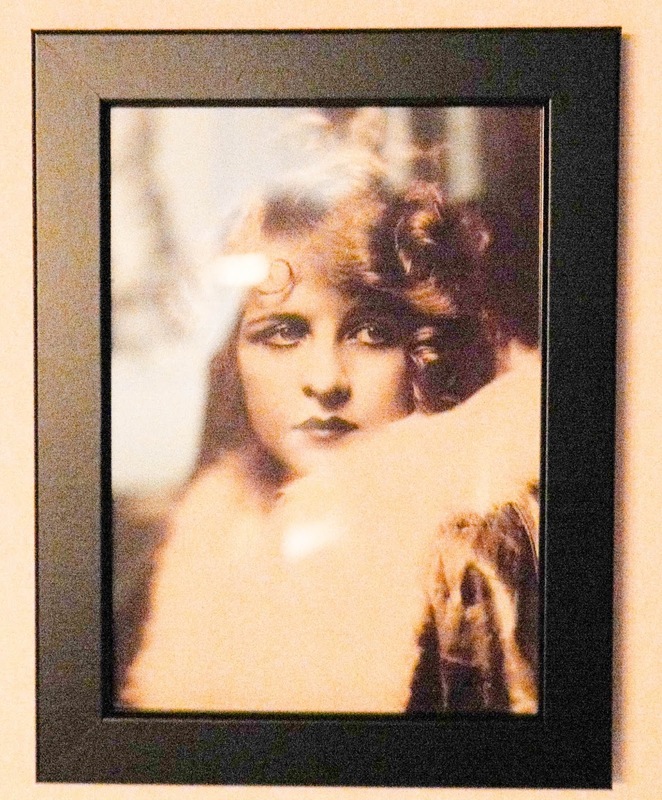 Who is Mrs Jones? 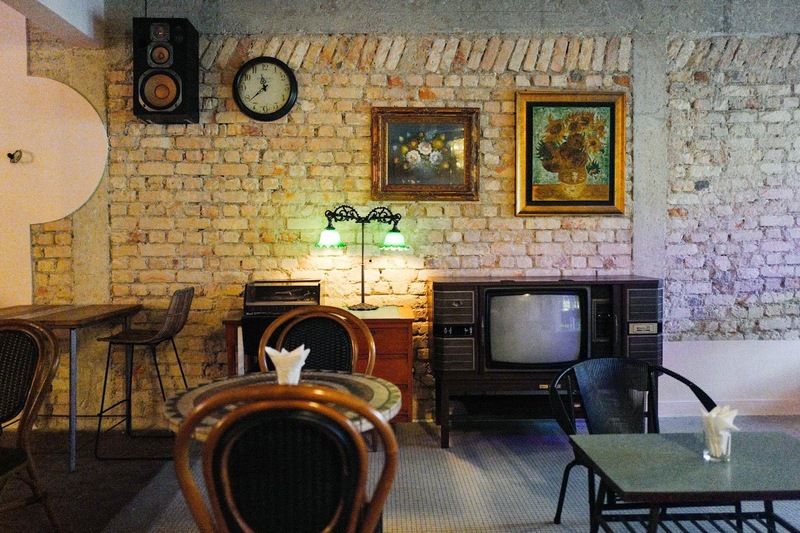 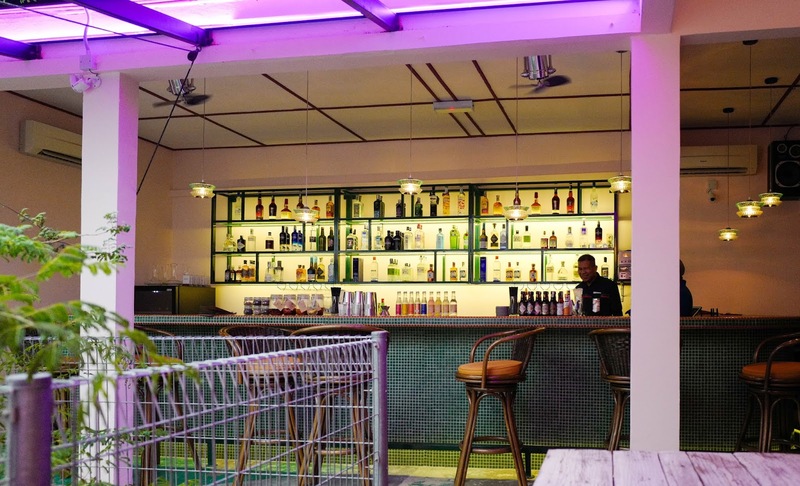 Her identity supplies the intrigue surrounding PJ's new gin bar - stepping into this space is like entering the sitting room of someone lost in the mists of history, full of timeworn furnishing that hints at a Bohemian heritage. 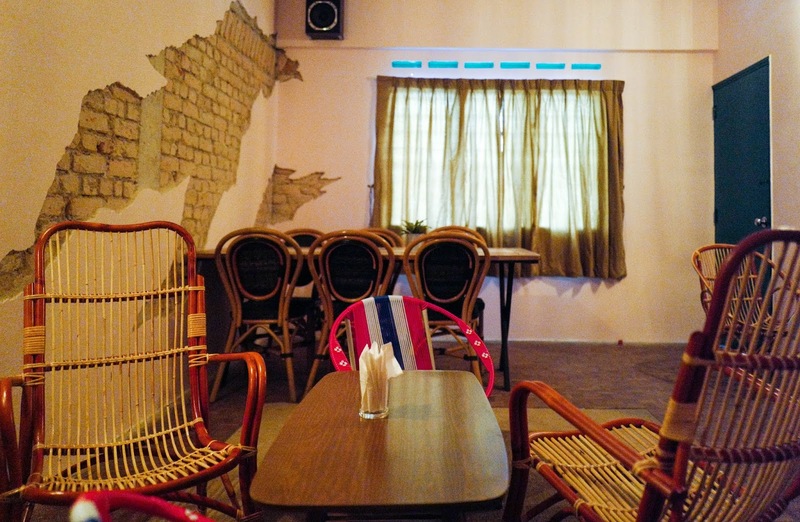 Mrs Jones, as the legend goes, was a gypsy girl from Prague who travelled to the Far East in the early 1960s, falling in love with British officer Davy Jones in Malaya. 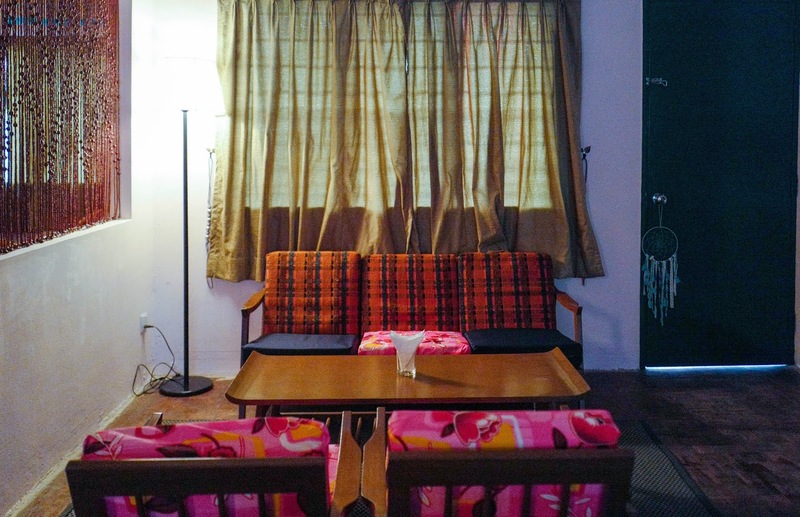 Her husband, however, suffered from bipolar disorder, prompting her to resort to magical remedies and brews to soothe him. 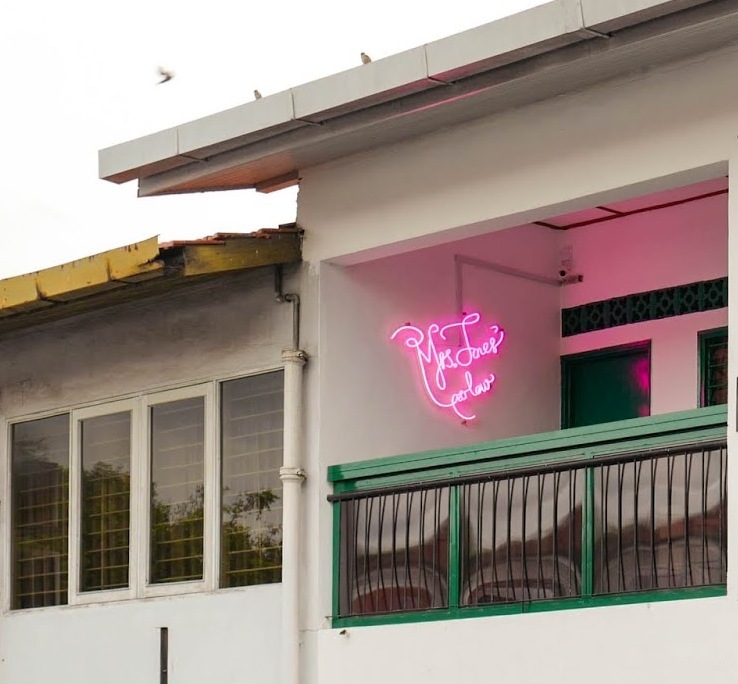 That sense of mystery and mystique pervades Mrs Jones' Parlour, where concoctions like the Heart Of Mary promises to be 'the world's strongest love potion' while the Elixir Of Life boasts benefits for your tolerance of spirits. 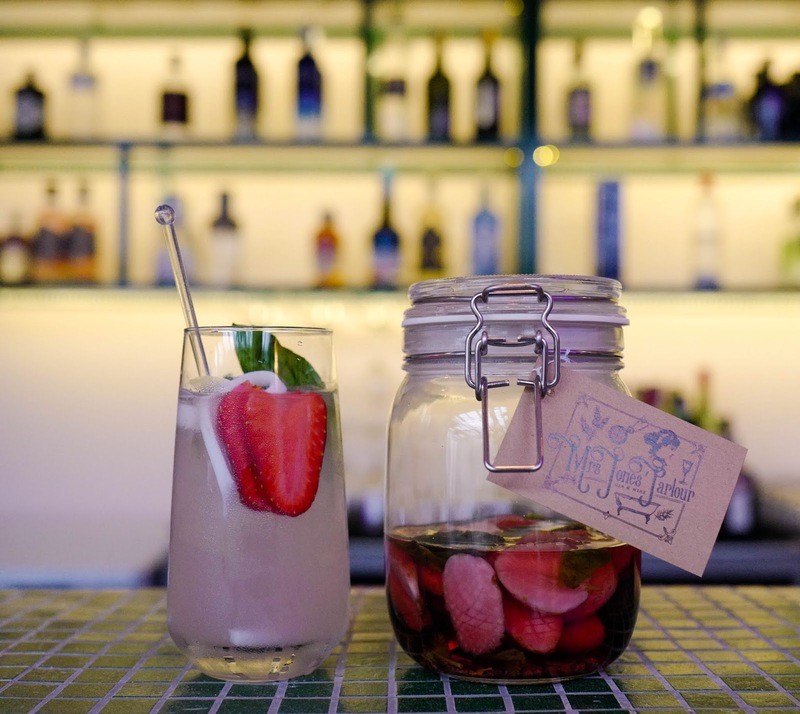 Specialities include house-infused gin, which can be enjoyed with tonic (or coconut water, if you prefer a less sugary version) - Eternal Youth, for example, showcases gin infused with basil, strawberry and red pepper, a restorative libation that tastes even more refreshing with coconut water (RM28). 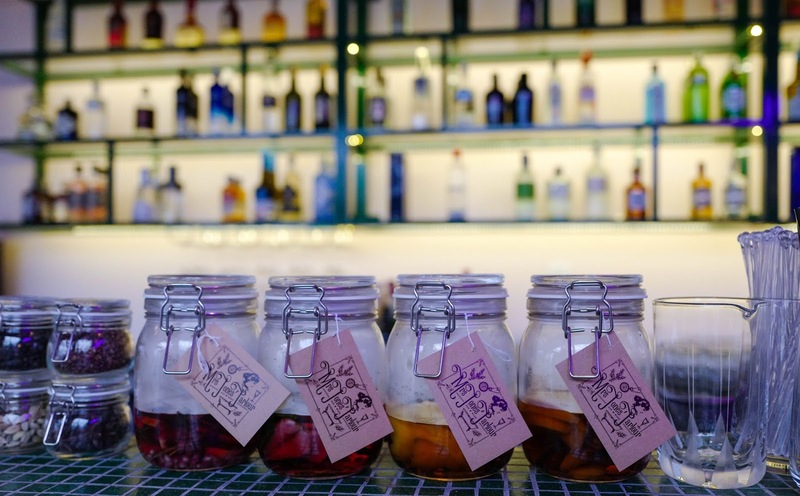 The gin selection is eclectic and extensive enough for an entire evening's exploration, spanning Australia to the USA, Finland to France, Japan to Thailand, Scotland to Slovenia. 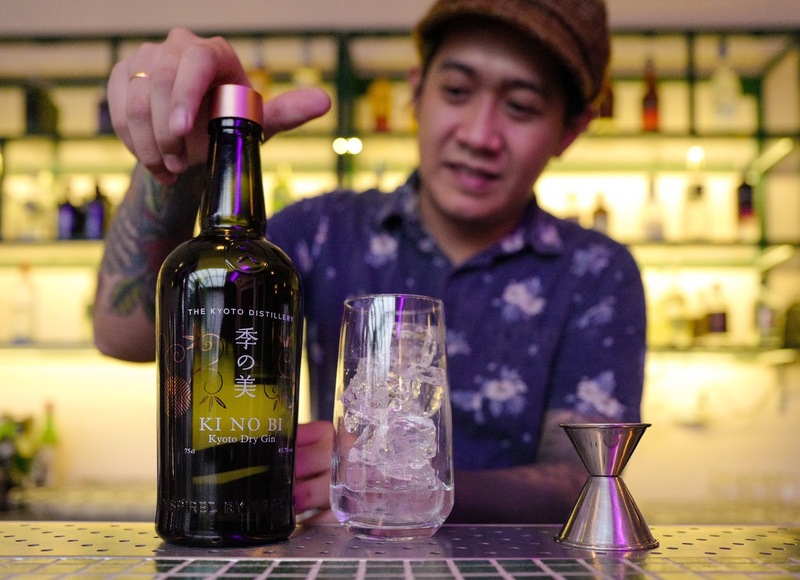 From the Land of the Rising Sun's first dedicated artisanal gin distillery, Kyoto Distillery's new Ki No Bi is best matched by head bartender Mckay Jiplin and his team with tonic, rosemary and an orange peel, preserving the natural botanicals of this dry gin (RM45+). 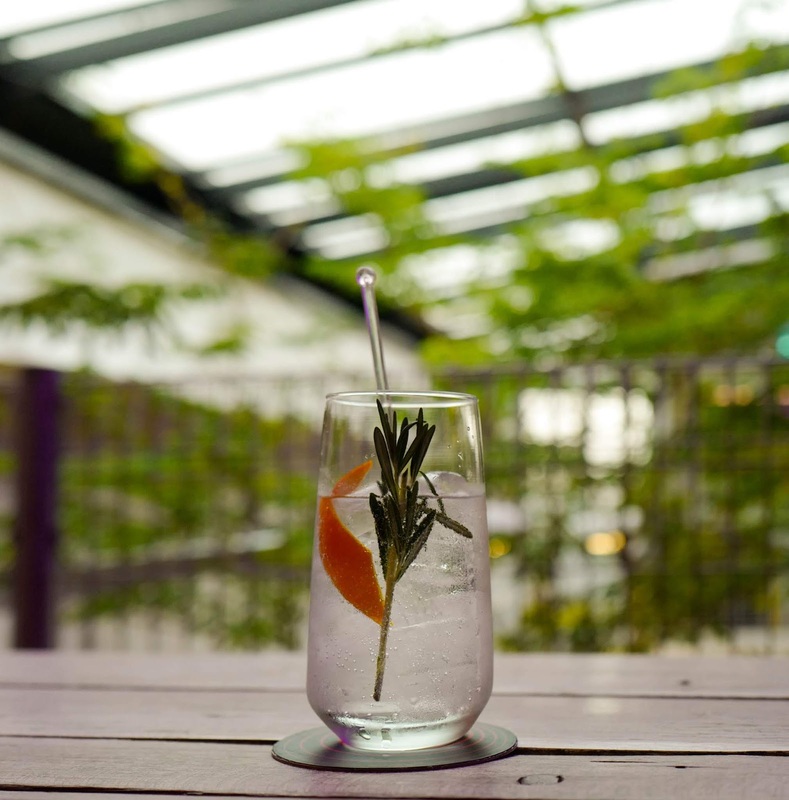 It's a pleasure to sip on this while savouring the leafy first-floor courtyard setting beside the bar counter. 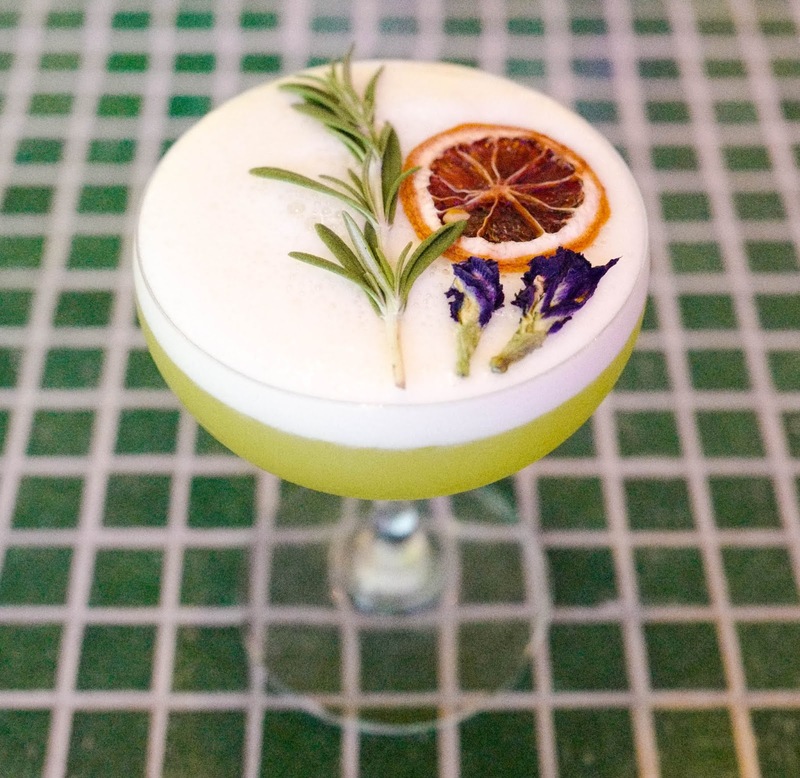 If there's any lingering doubt about Mrs Jones' prowess, the gin-based cocktails here will vanquish that. 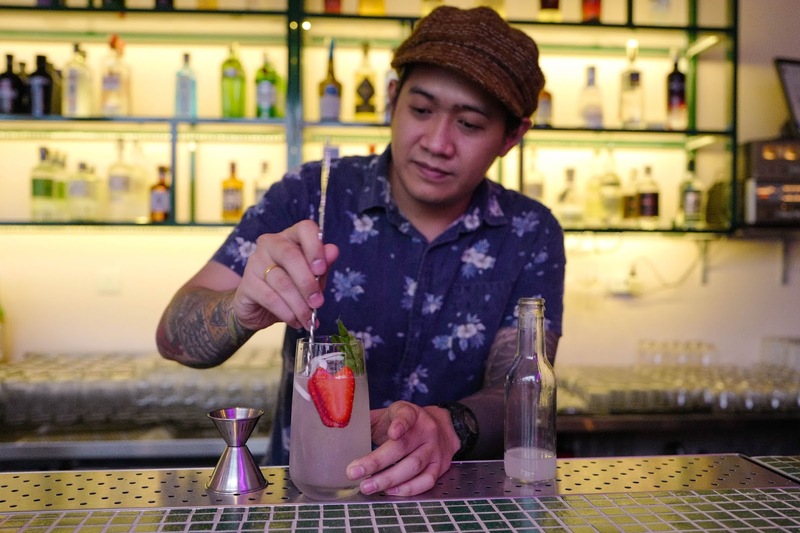 Johanna in particular is bewitching, blending Hendrick's, Cherry Heering, Fernet-Branca and elderflower syrup to enchanting effect (RM35). 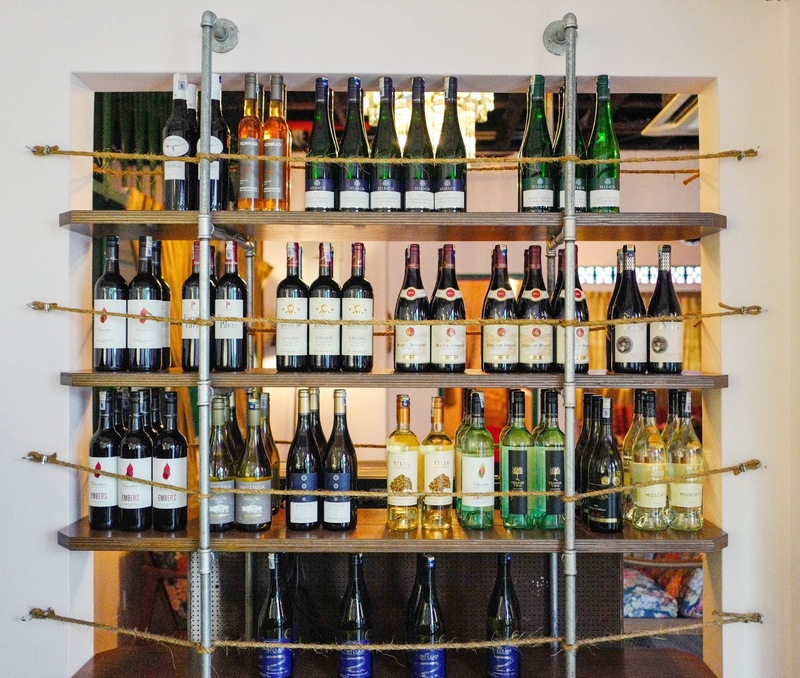 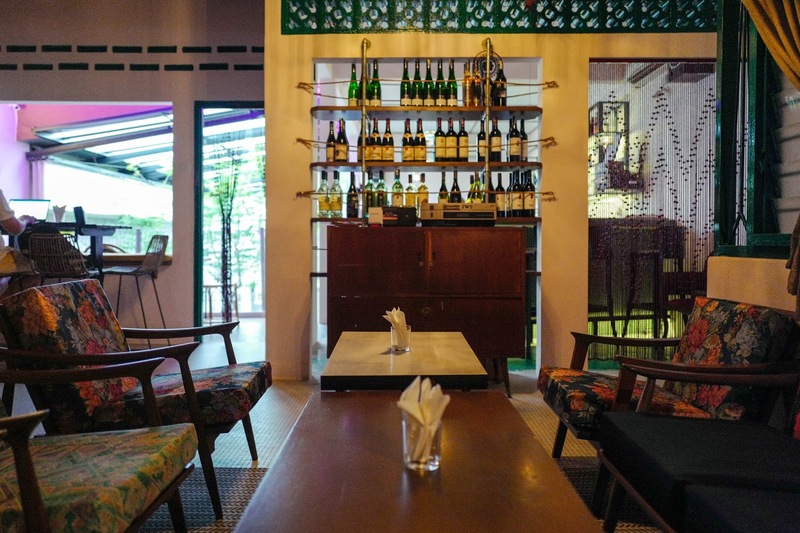 Wine is also available, along with warm food that can be freshly ordered from the full kitchen downstairs of Section 17's Tujoh restaurant. 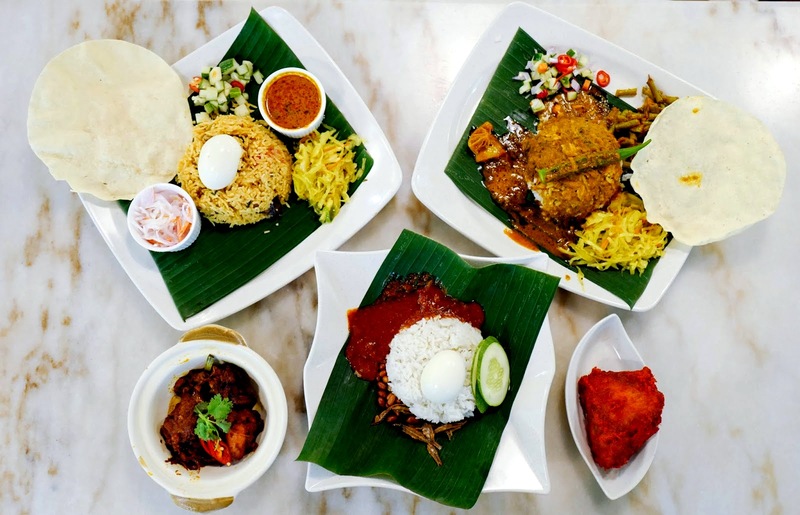 617a, Jalan 17/10, Seksyen 17, 46400 Petaling Jaya, Selangor. 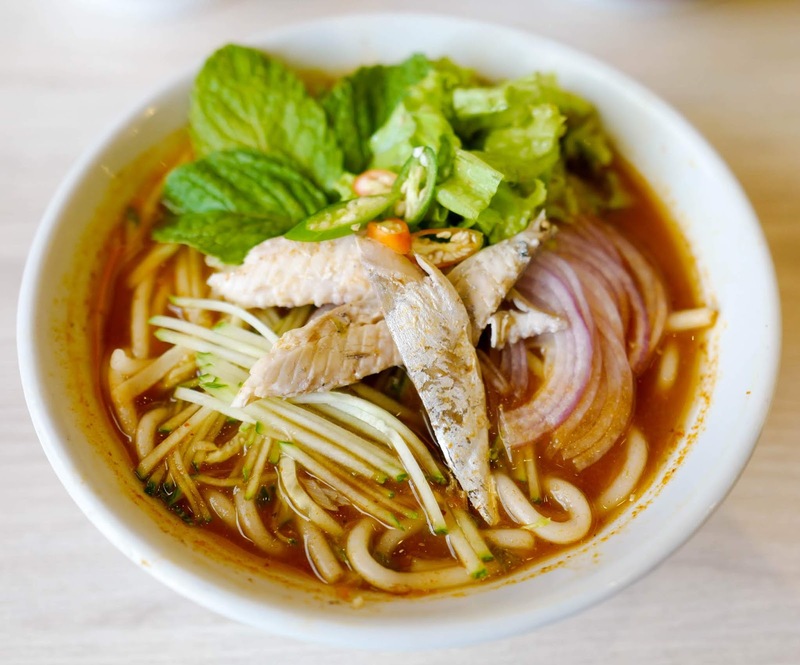 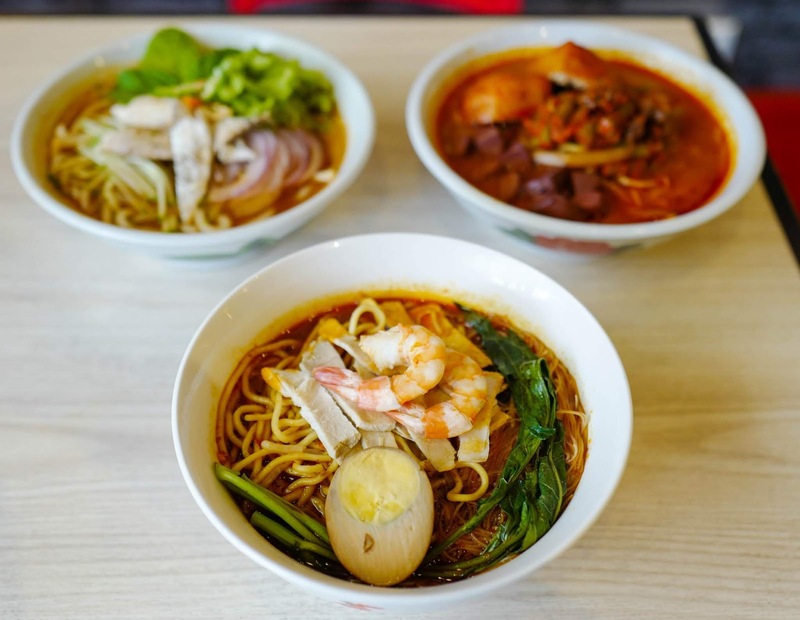 Main Place Mall might be merely five years old, but it has become home to several distinctive restaurants whose delicious history dates back decades. 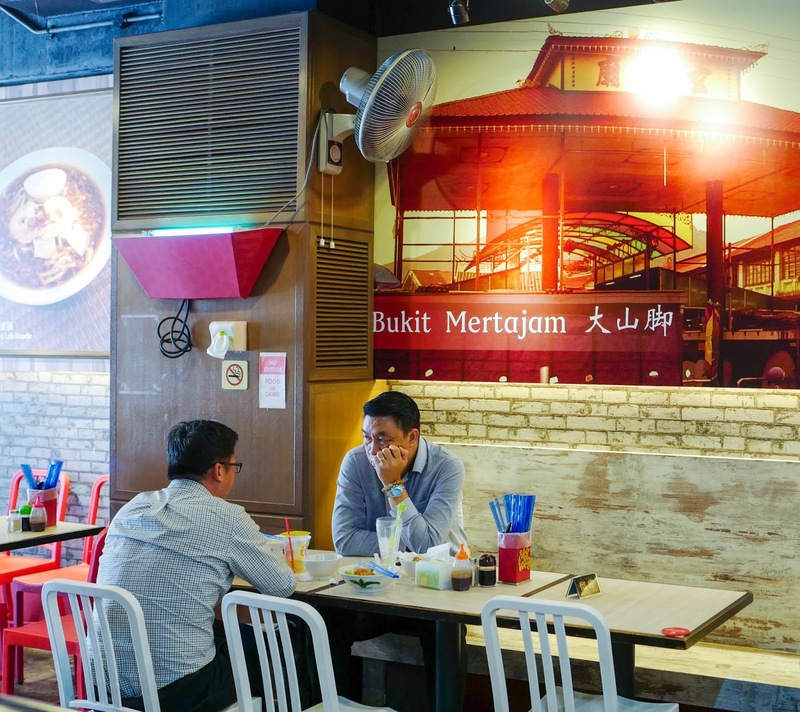 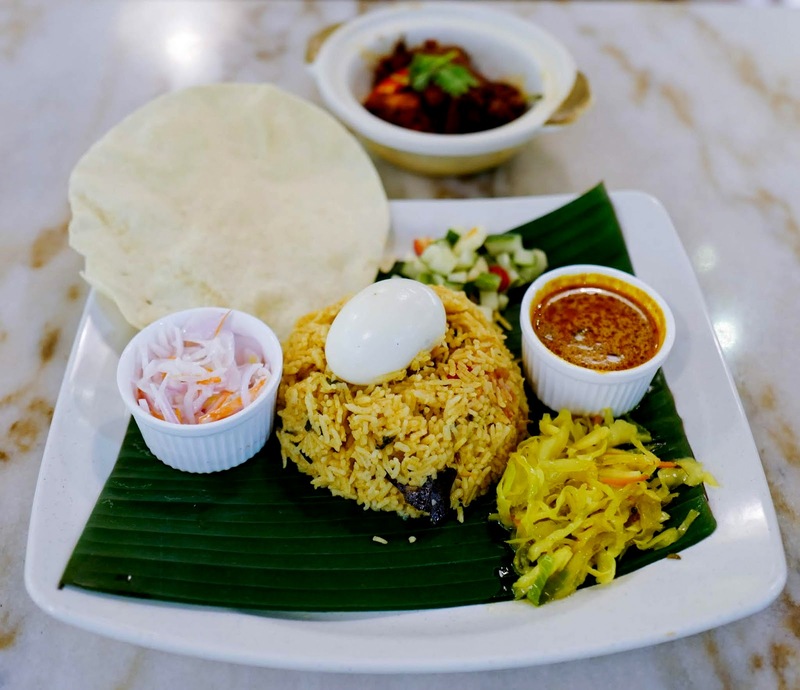 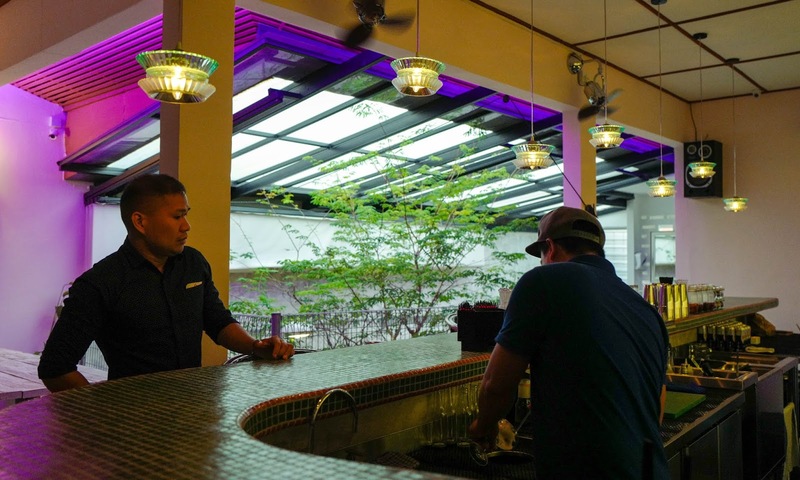 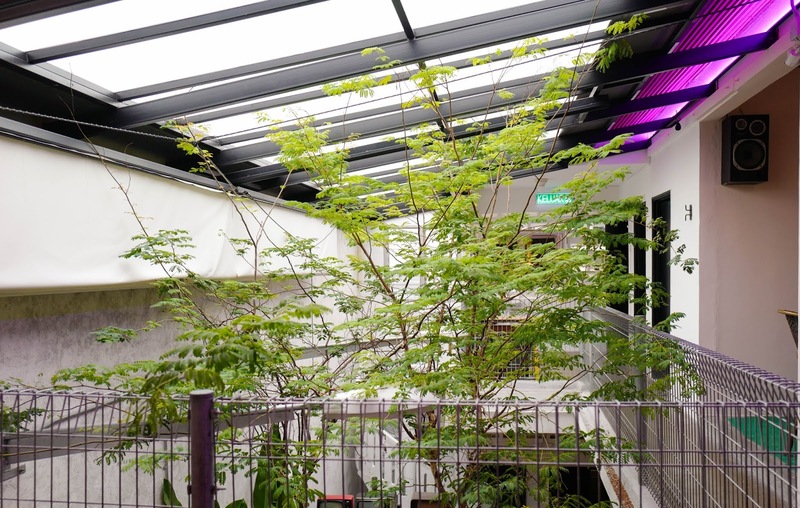 These are independent, family-run Malaysian eateries that take pride in their heritage, with roots that stretch from Selangor and Melaka to Perak and Penang, providing a homegrown depth to this neighbourhood mall. 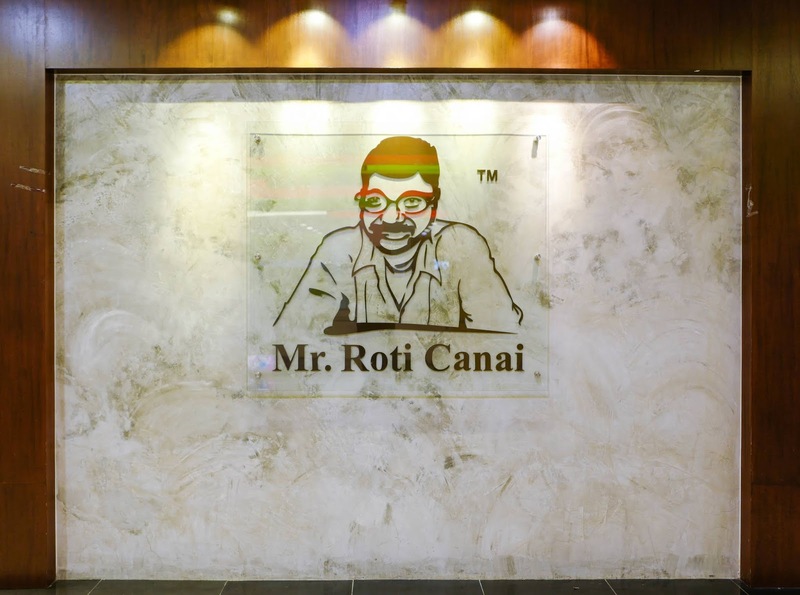 What started as a small family business nearly 25 years ago has become a family's treasured legacy. 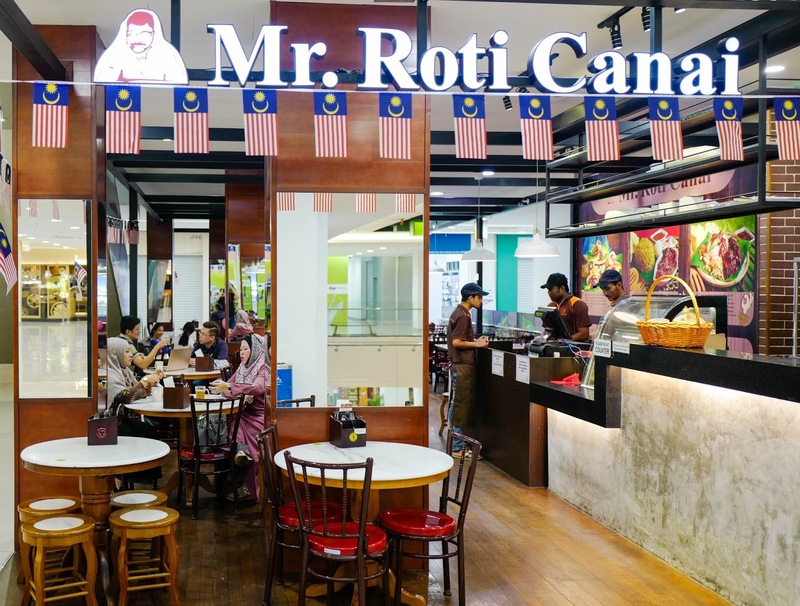 Mr. Roti Canai is run by Thelaganathan Gopolakrishnan and his family; Thelaganathan's father originally began the business that evolved into Subang's Sri Melur Jaya restaurant and subsequently, the Mr. Roti Canai brand, becoming a strong presence in the communities they inhabit. 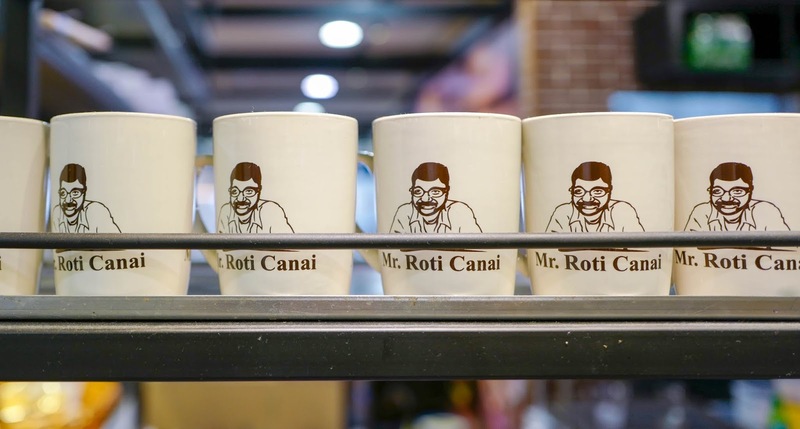 Thelaganathan's father, whose image is the face of Mr. Roti Canai, has always wanted to see them operate in a mall - though he has passed away, his family eventually fulfilled his dream by opening at Main Place Mall. 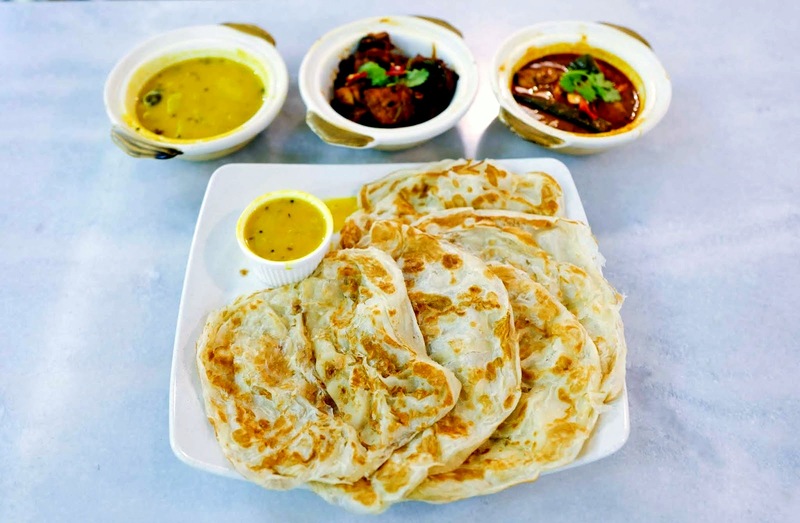 Mr. Roti Canai's repertoire of roti remains remarkable, made with a consistent crispy flakiness that can be savoured in various forms. 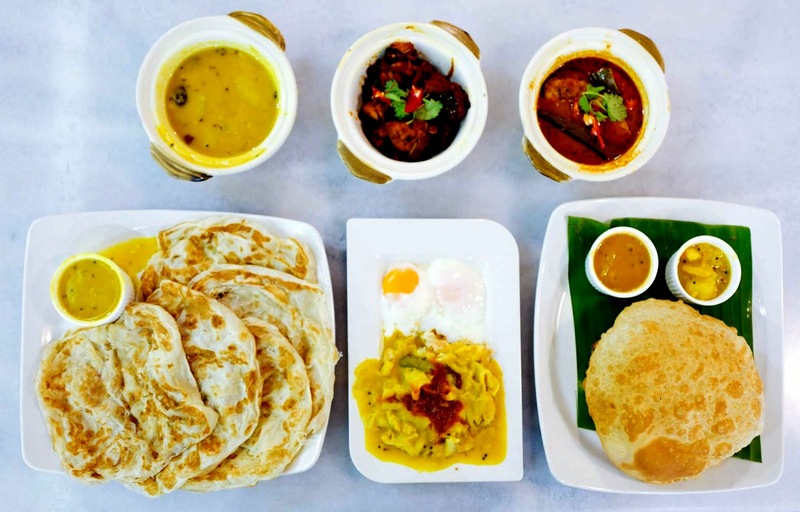 For sharing, the Mr. Roti Canai Combo Set showcases five fresh and warm pieces of roti canai that can be complemented with Mutton Rendang and Fish Curry (RM35.90). 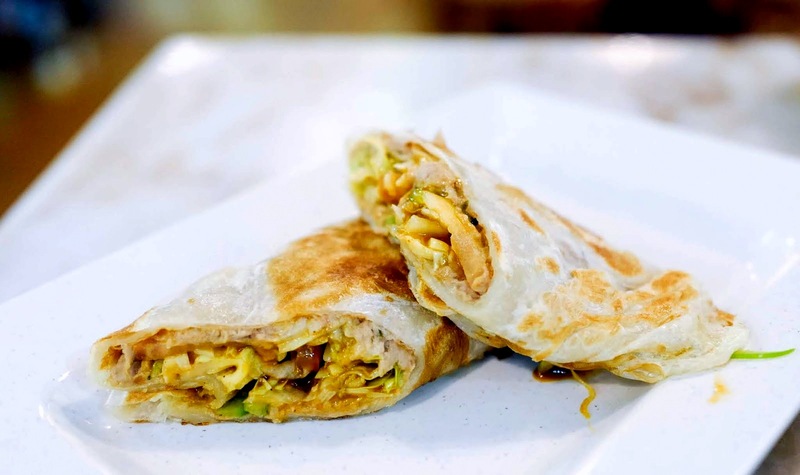 Alternatively, have it banjir-style in a Canai Float, flooded with luscious dal and two soft-boiled eggs (RM5.90), or stuff some fish in it and turn it into the inventively modern Roti Canai Tuna Roll (RM5.90). 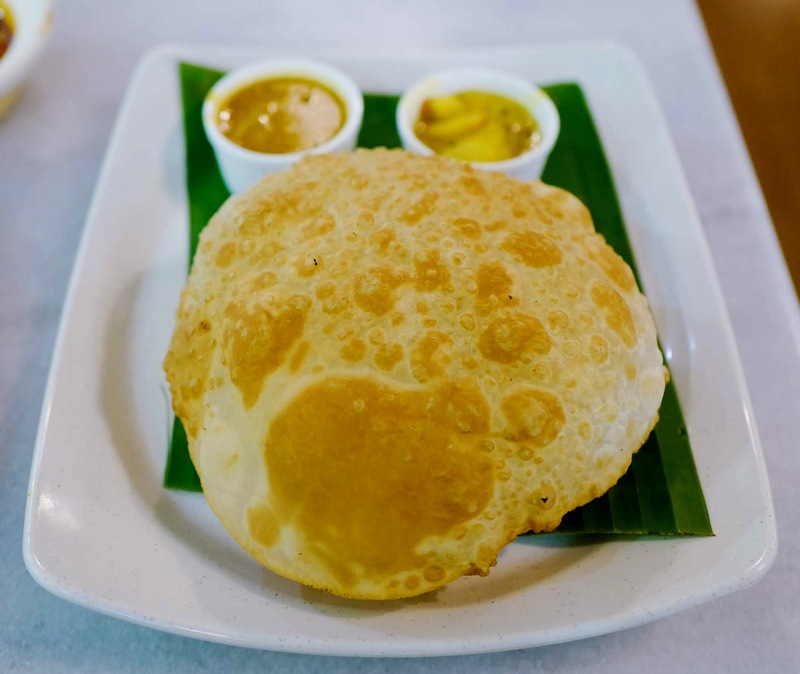 We're also fans of the fluffy Chana Puri (RM4.90) and the gargantuan Roti Tissue Special, so large it spans three plates (RM7.70) - clearly, come here if you feel like a carb attack. 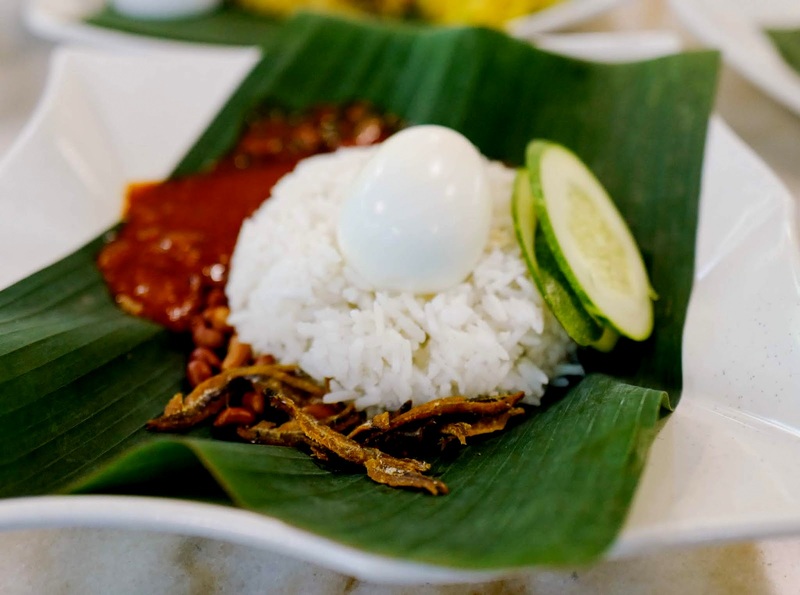 Beyond roti, rice takes the limelight here too: The Nasi Lemak Kampung provides sufficient substance for an affordable meal (RM5), while heartier choices like the fragrant Nasi Briyani with Chicken Varuval (RM17.70) and the flavour-loaded Nasi Kandar with crunchy-juicy fried chicken (RM12.60) will ensure nobody leaves Mr. Roti Canai hungry. 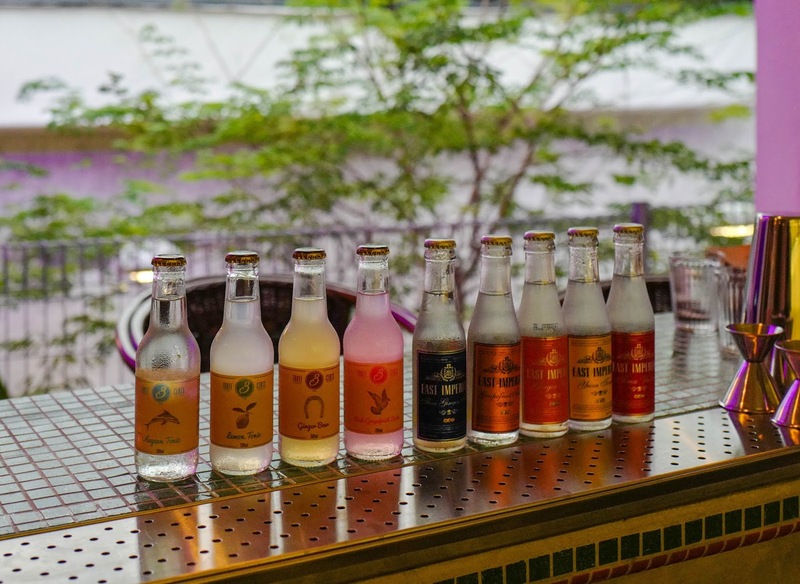 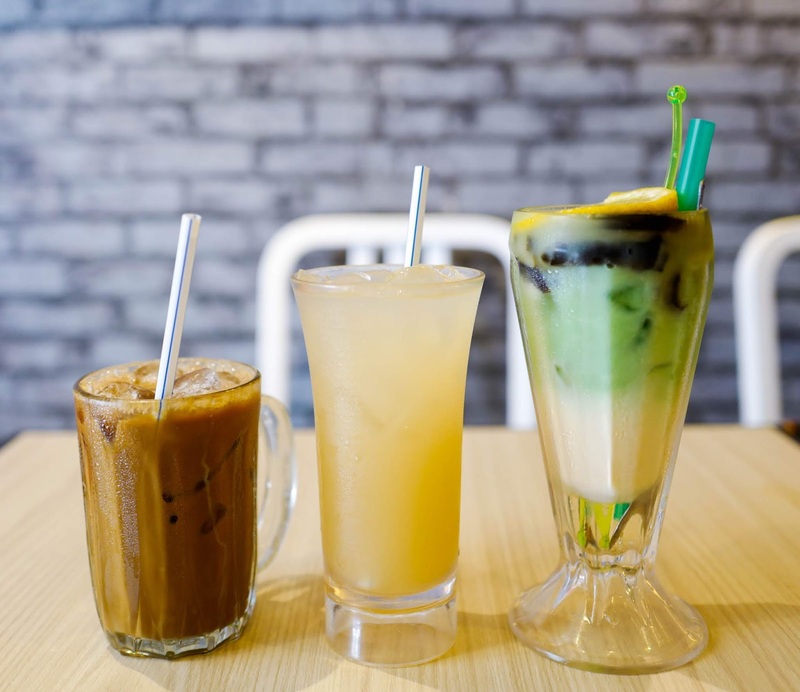 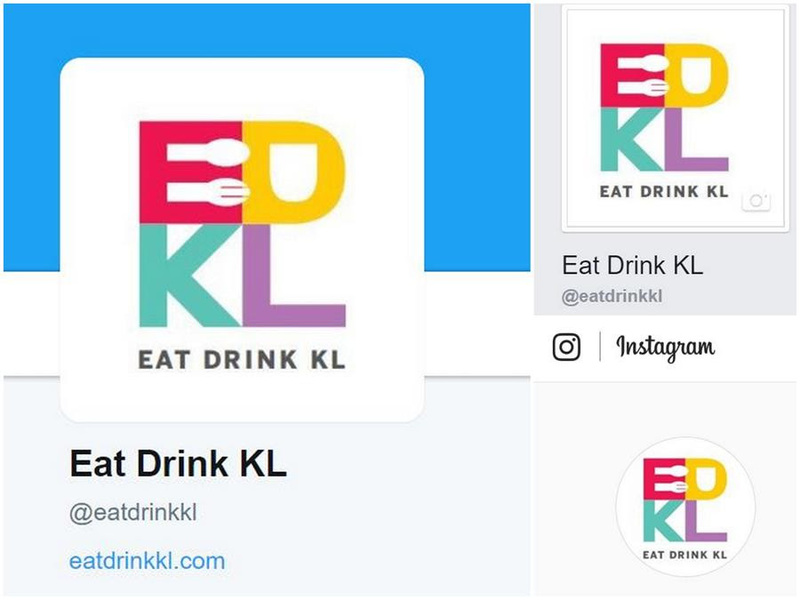 Pair your food with beverages like the quintessentially Malaysian Teh Tarik, hot and frothy (RM3.20), and the refreshing fizz series of soda-fied local favourites like the Ribena Fizz (RM5.80), Orange Fizz Float (RM6.40), and the Lemon Asam Boi Fizz (RM5.90). 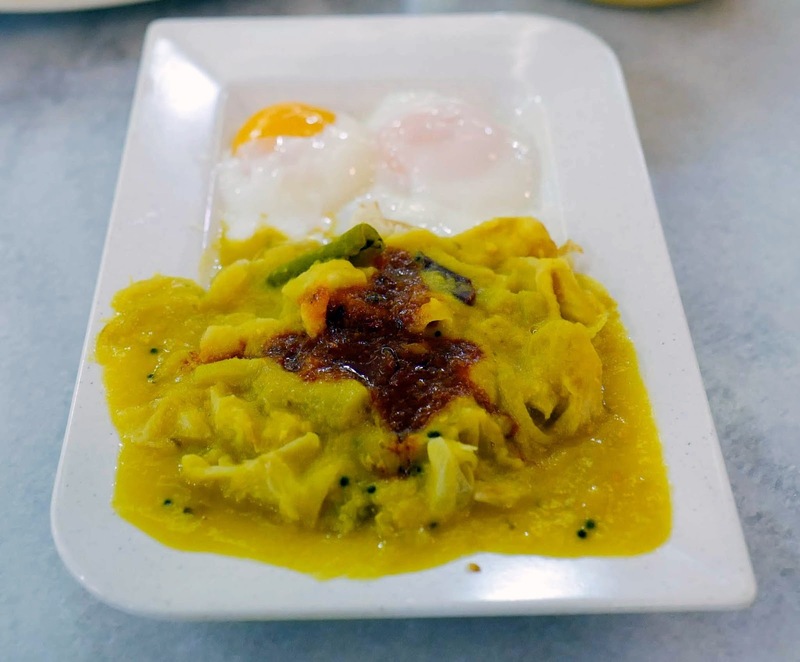 Auntie Lora's story can be traced all the way back to 1981, with a hawker stall that lured customers in the morning wet market in Bukit Mertajam, Penang. 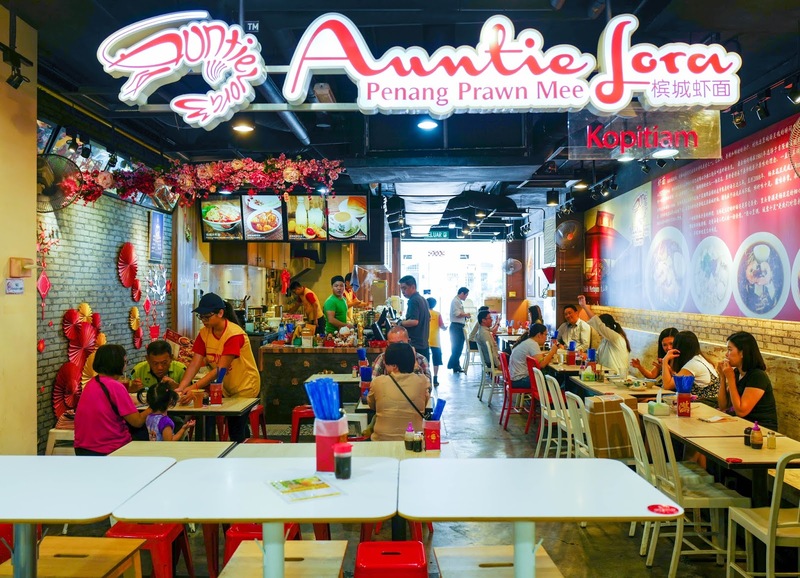 Auntie Lora and her family later moved to Ipoh before settling in KL, where they opened Auntie Lora Kopitiam in Cheras in 2008. 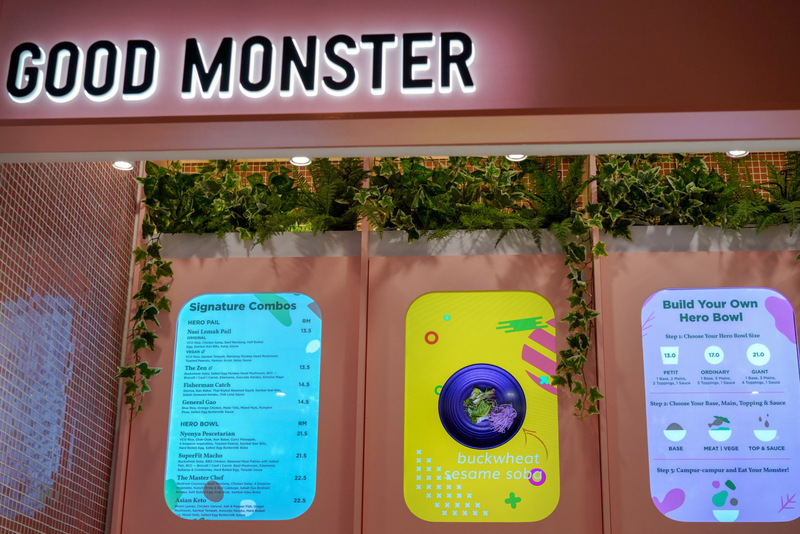 Fast forward to 2018, and their first mall-based outpost has come alive in Main Place Mall. 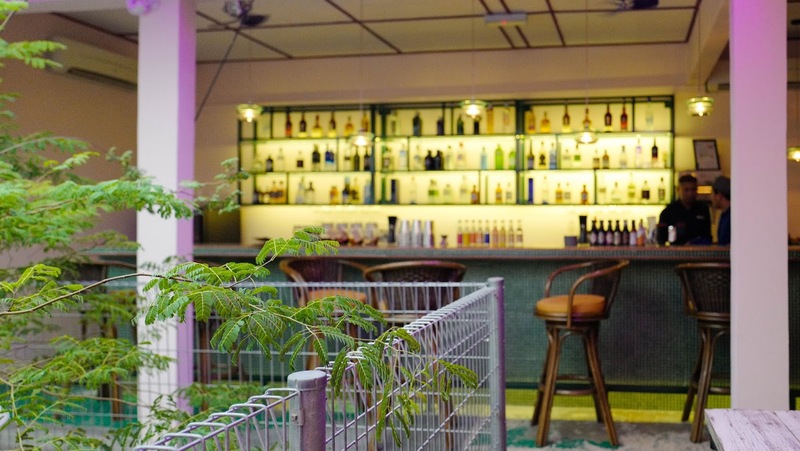 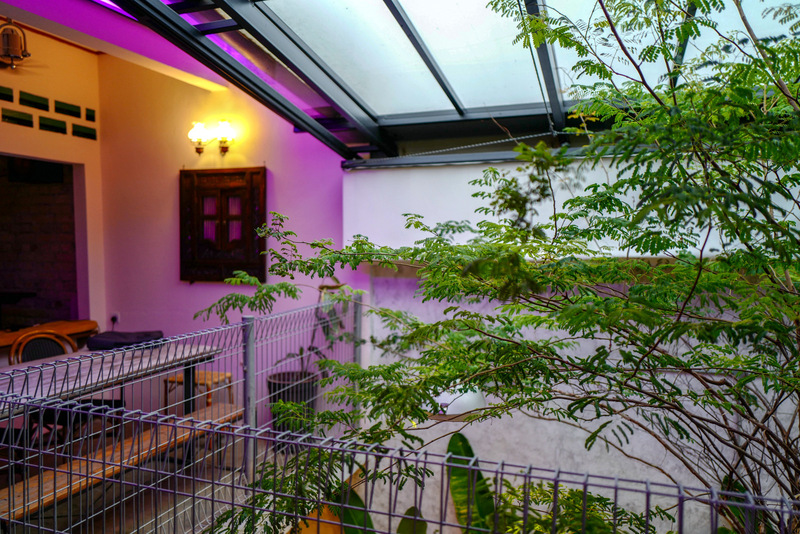 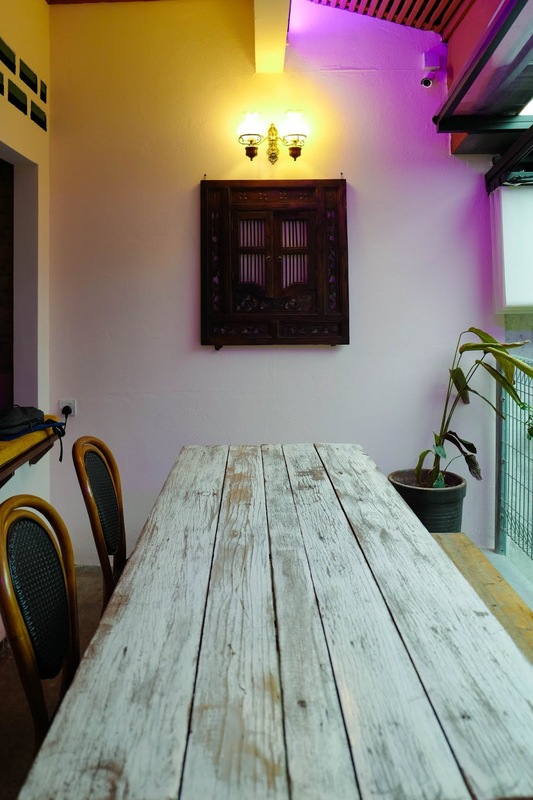 Authenticity is Auntie Lora's forte, preserving the painstaking culinary traditions of Penang to recreate the vibrantly robust flavours from the northern state. 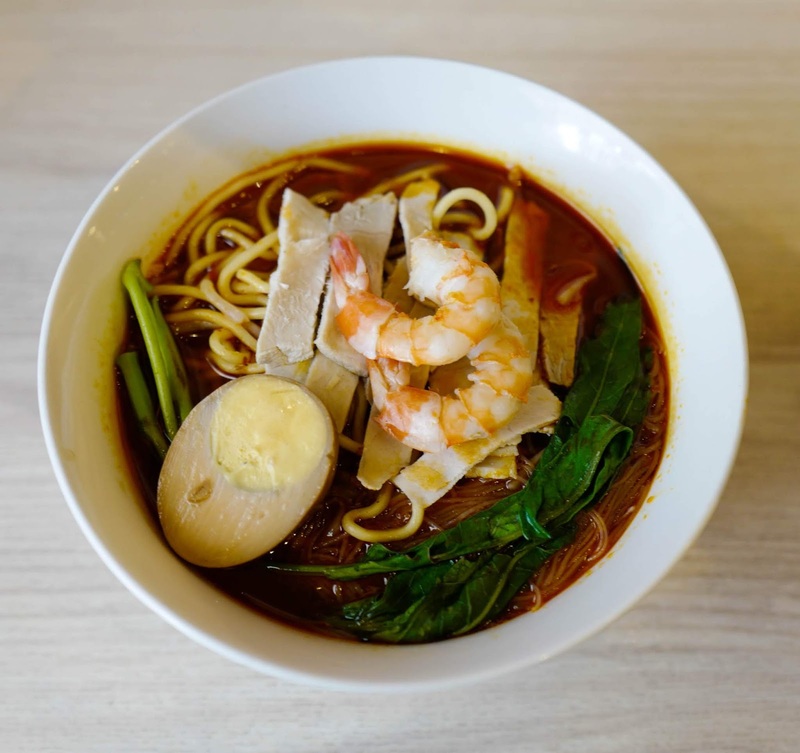 The Penang Prawn Noodle is a family recipe, with a rich broth base that's slow-cooked for five hours with pork bones, prawn shells, and chillies (RM10.20). 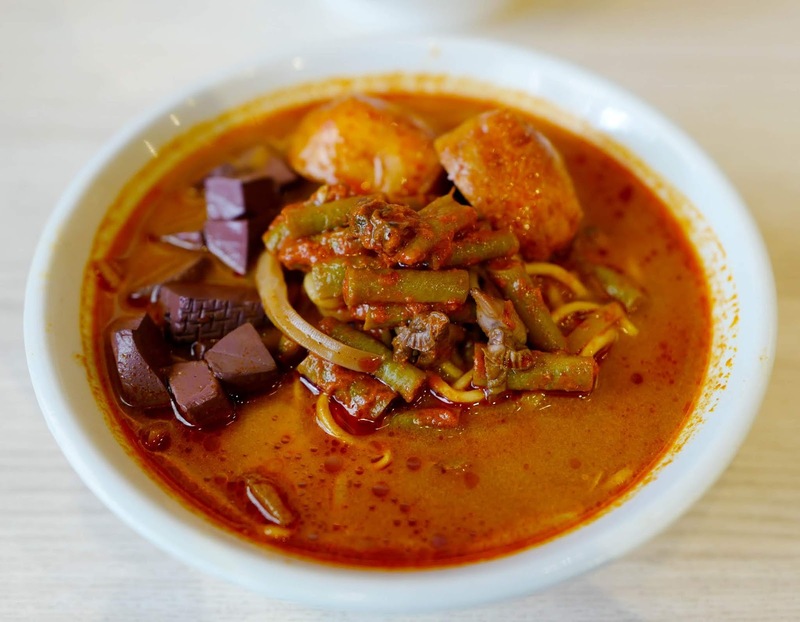 The Penang Asam Laksa channels a level of spiciness that's just right, moreish without undercutting the aromatic tang of the bowl's various contents (RM10.20), while the Penang Curry Noodle too bears the unmistakable hallmarks of a well-executed rendition, complete with pork blood cubes (RM10.20). 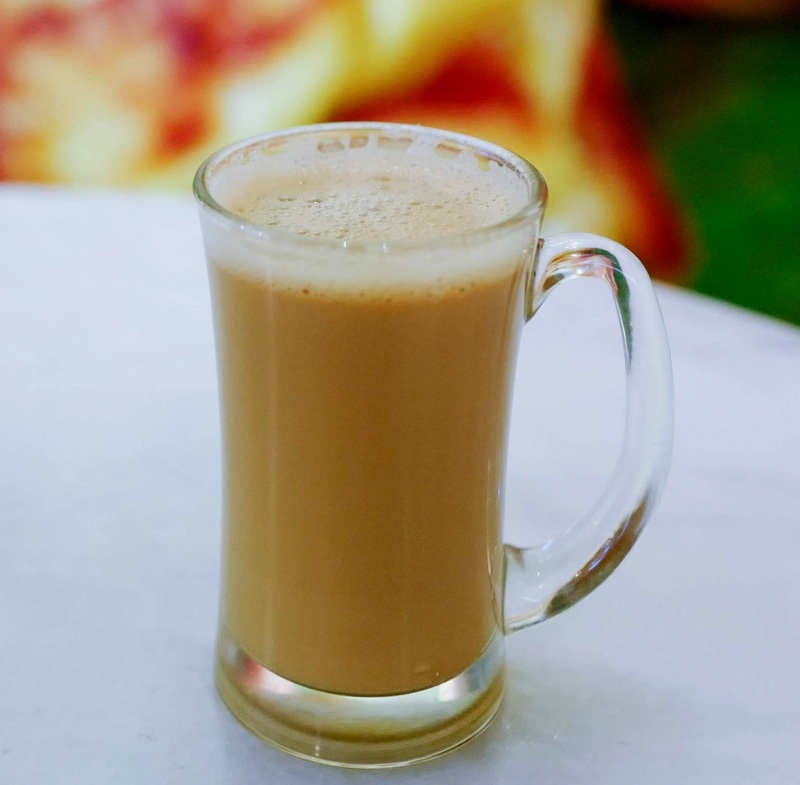 Beverages too pay homage to Auntie Lora's geographical origins - the Pure White Coffee is a satisfying nod to Ipoh (RM4.50), the Fresh Nutmeg Juice is true to Penang (RM5.50), while the healthy "L.C.W" Wheatgrass Juice is a tribute to Malaysia's Perak-born national badminton star Lee Chong Wei (RM6.20). 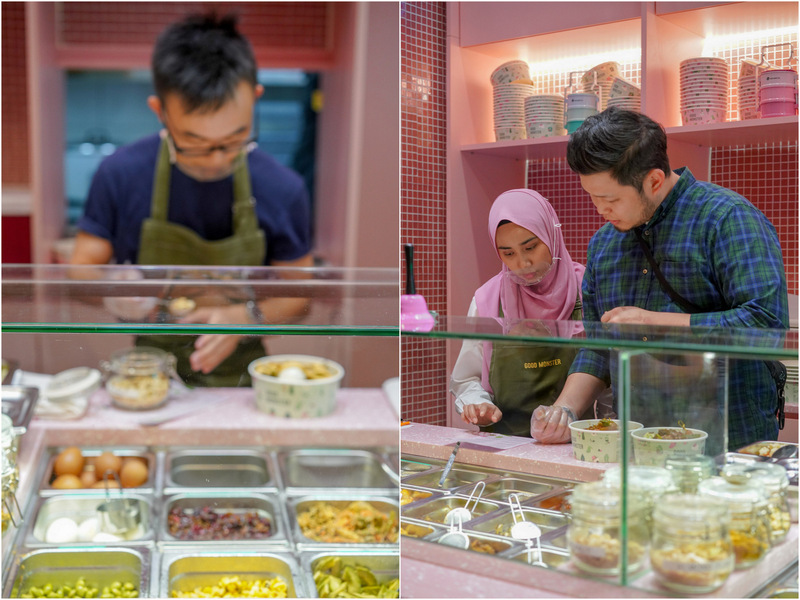 As one of Nyonya Cendol's founders Richie says, "How can you call yourself a cendol specialist if you don't make your own cendol?" 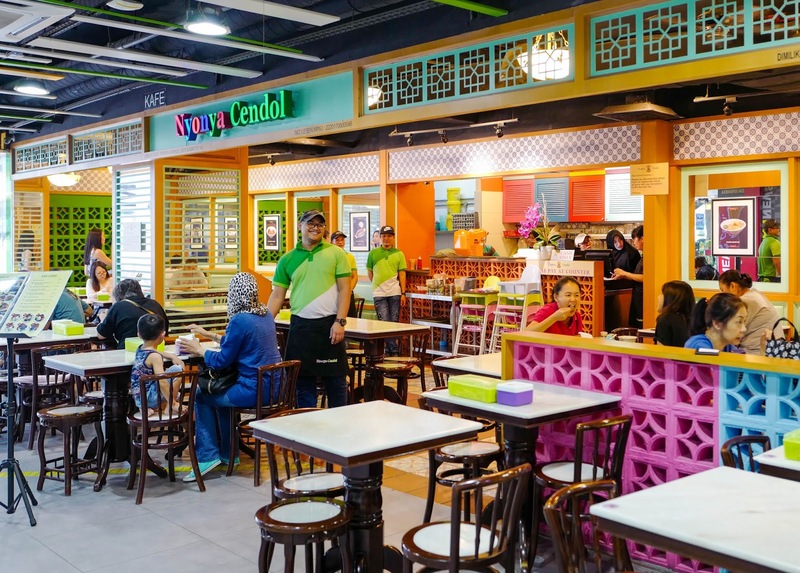 So naturally, Nyonya Cendol does, taking tremendous pride in its tempting pleasures at this colourfully striking space in Main Place Mall. 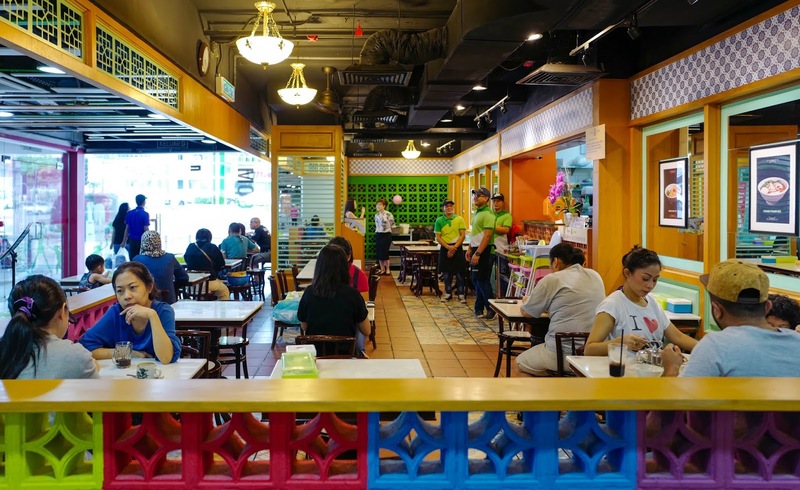 Richie, who runs Nyonya Cendol with his partner Tracy, was brought up in the food business, with a family that called both Melaka and Perak home. 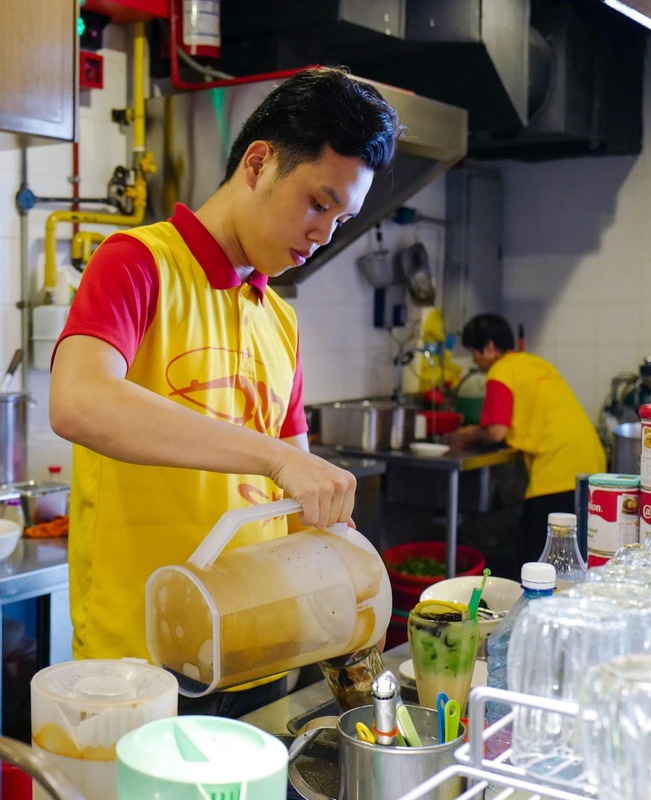 Richie helped his family sell cendol back when he was 13 years old; by the time he turned 19, he was preparing asam laksa too. 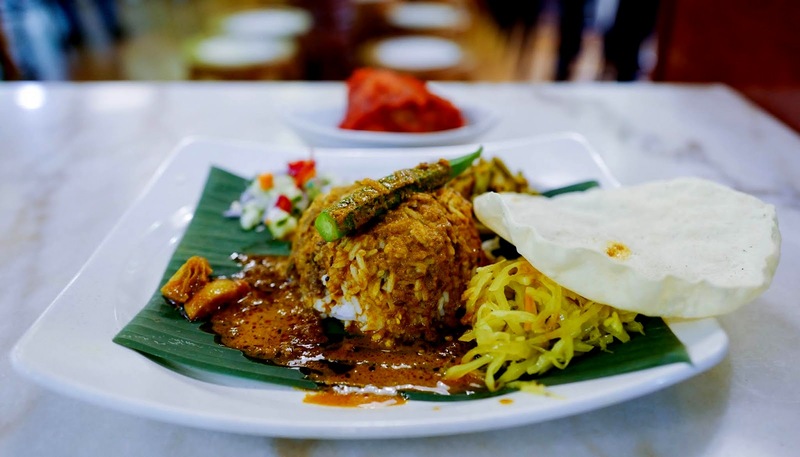 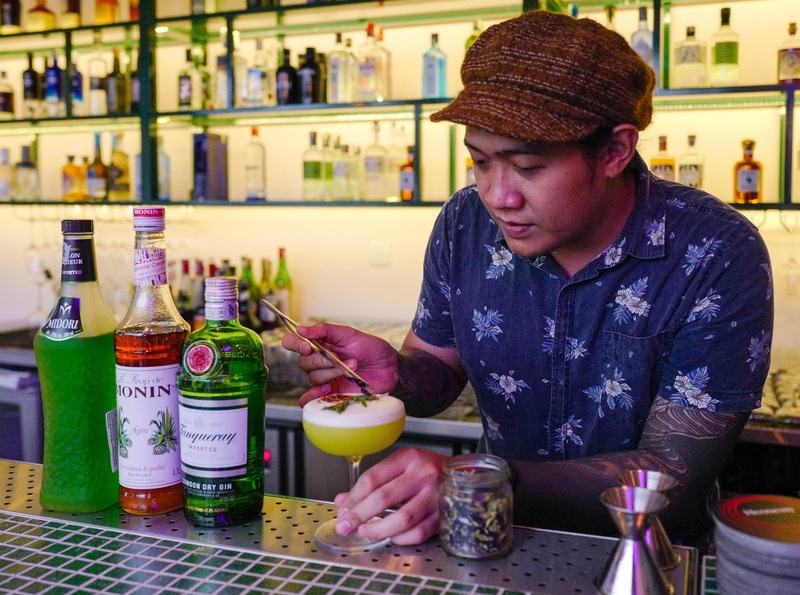 As an adult, he tried his hand at other ventures before most recently returning to food, spending more than a year to make everything up to mark before unveiling Nyonya Cendol. 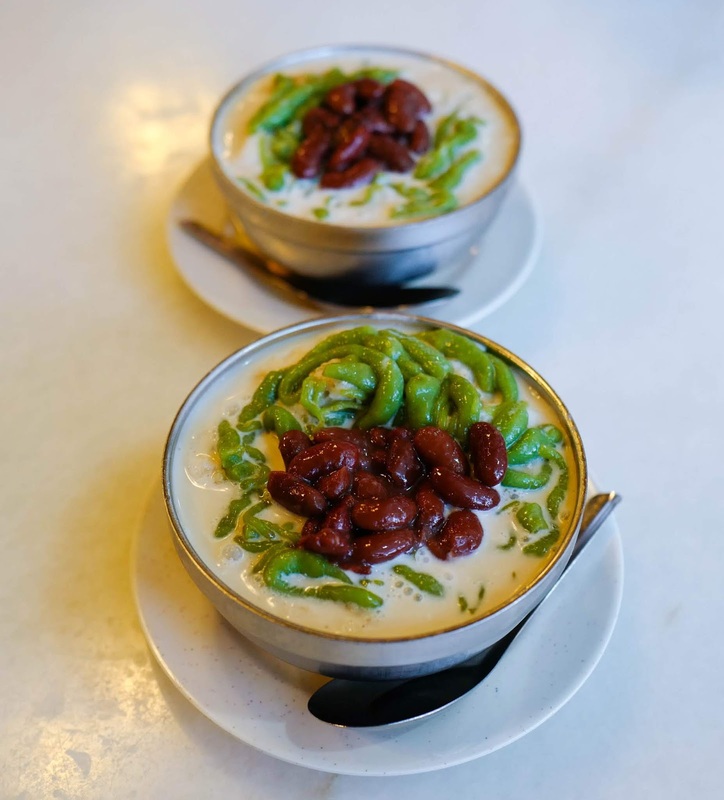 The Homemade Fresh Nyonya Cendol is a triumph of taste and texture, relying on the freshest santan, with every component meticulously prepared by the restaurant to build the best bowl. 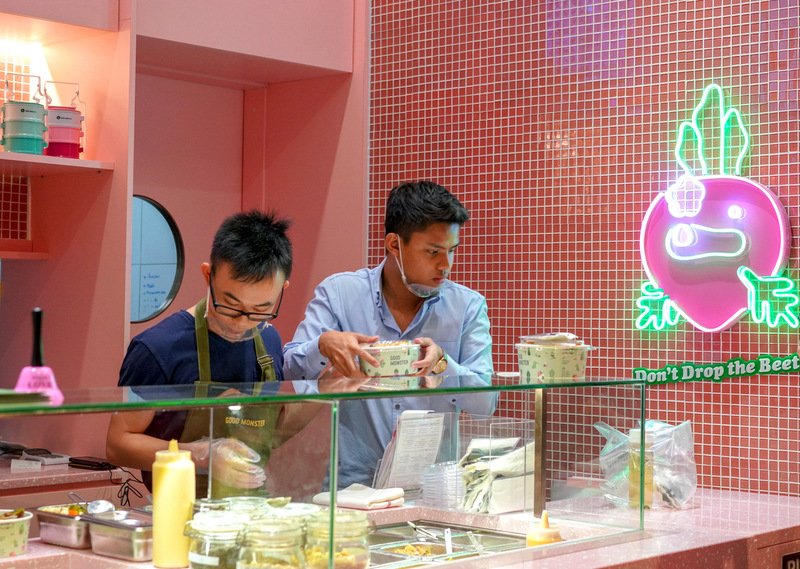 Even the green rice flour jelly requires three hours to perfect - thick and relatively long but not stodgy, completely preservative-free, partnering superbly with the red kidney beans and smooth, creamy coconut milk base (RM5.80). 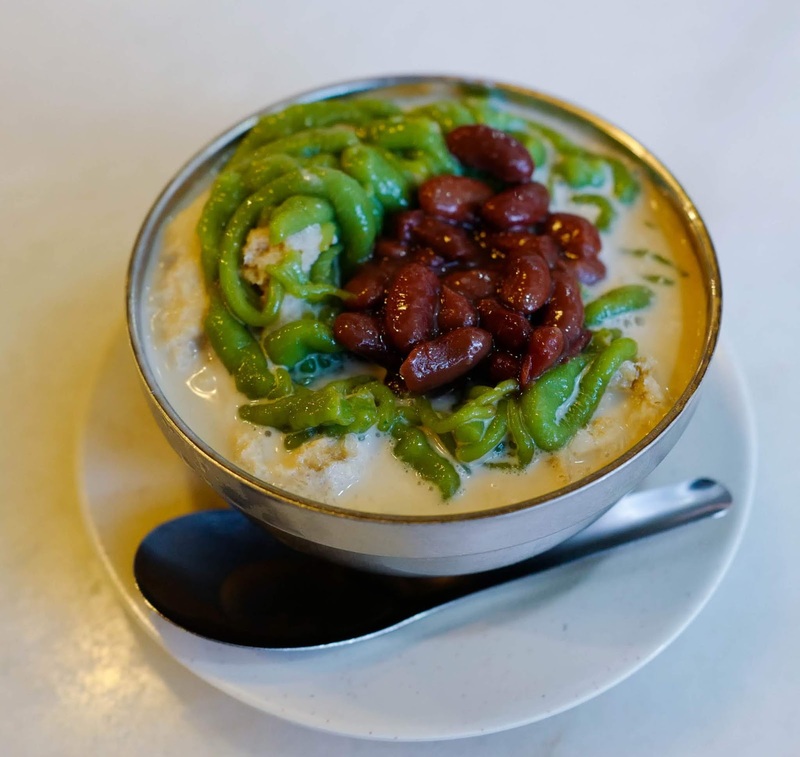 It's cendol that's memorably fulfilling; add-ons include corn, pulut, durian and ice cream. 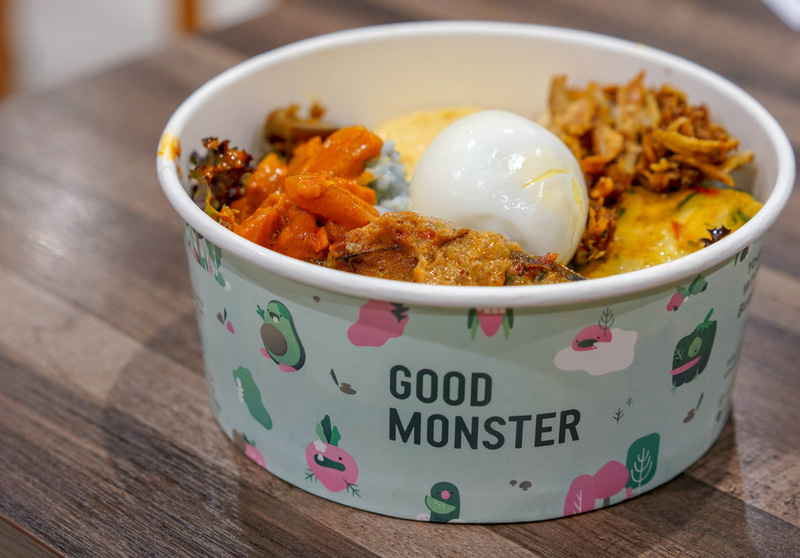 Other desserts here range from the Ais Kacang ABC Special, Longan Sea Coconut and Bubur Kacang Merah to the Nyonya Bubur Cha Cha, a can't-fail classic, served comfortingly warm with tender yam cubes (RM5.60). 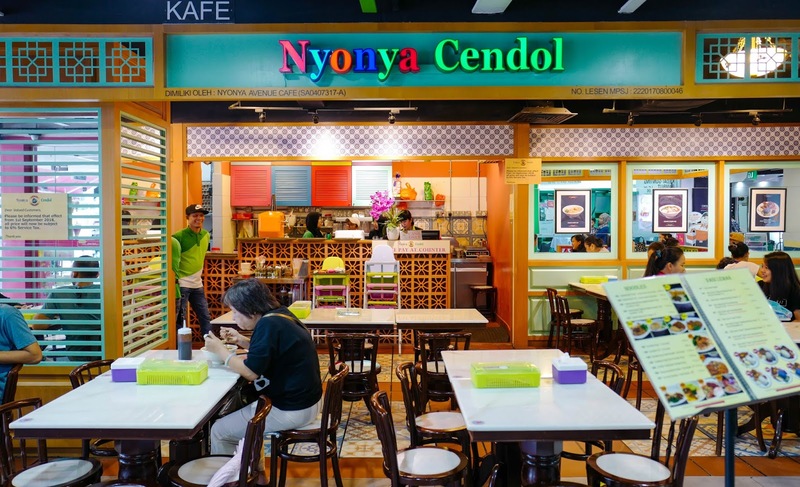 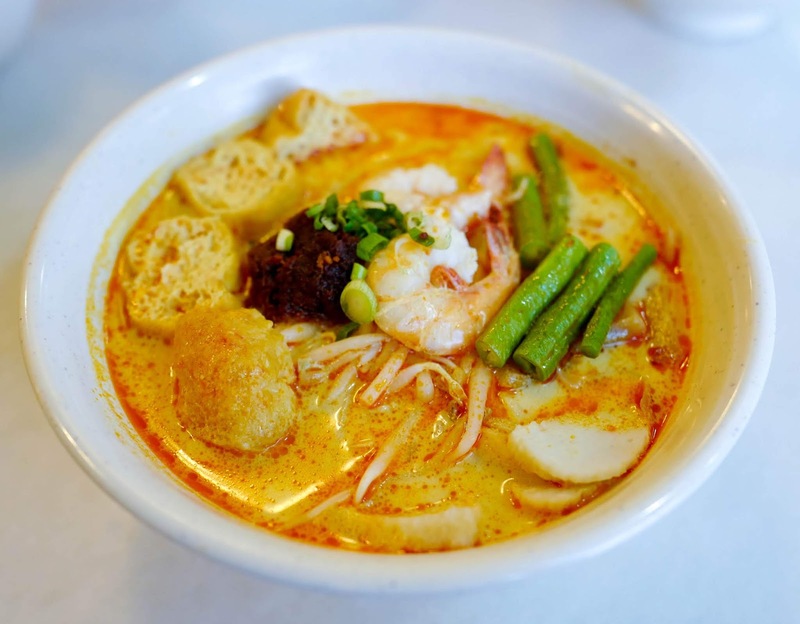 While Nyonya Cendol might sound like a dessert haven, it's also a hub for hot, savoury fare. 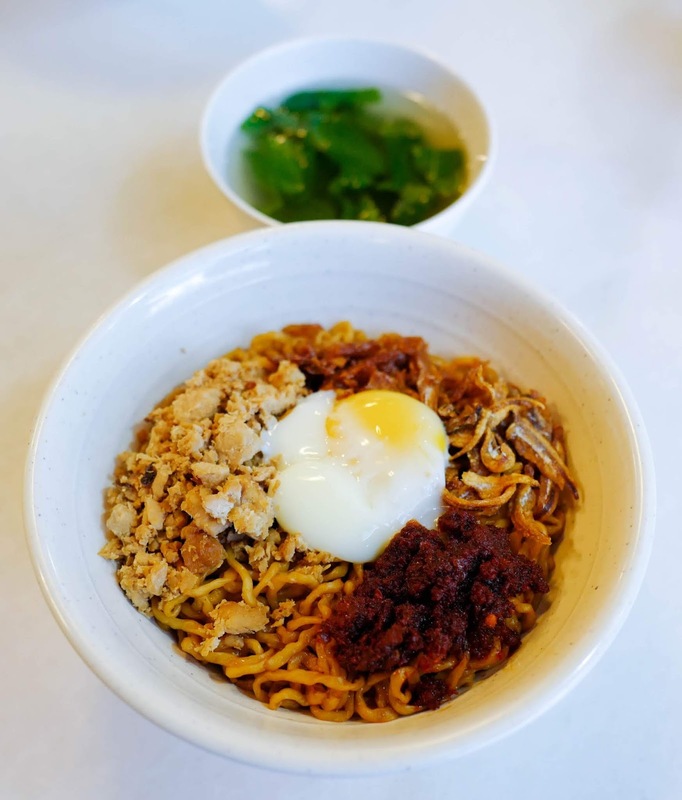 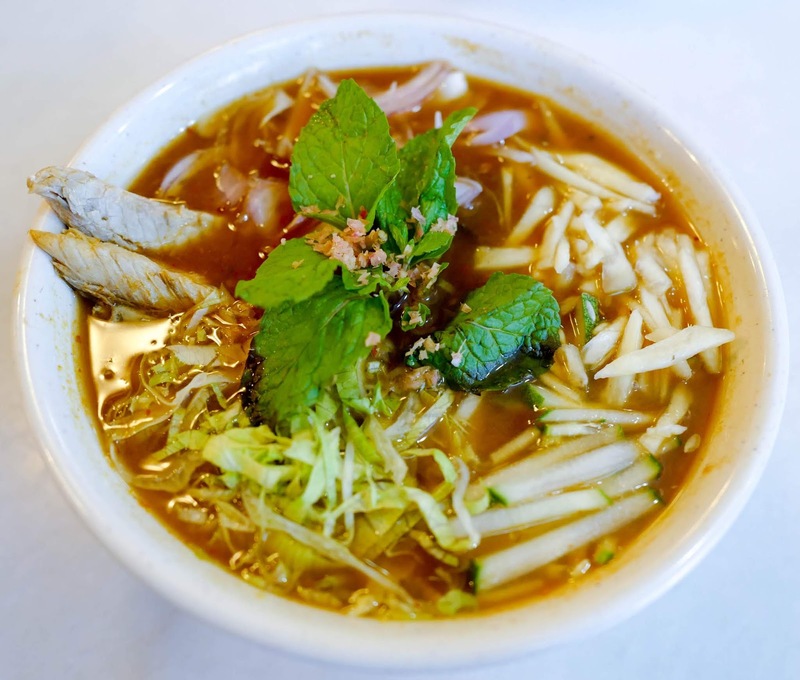 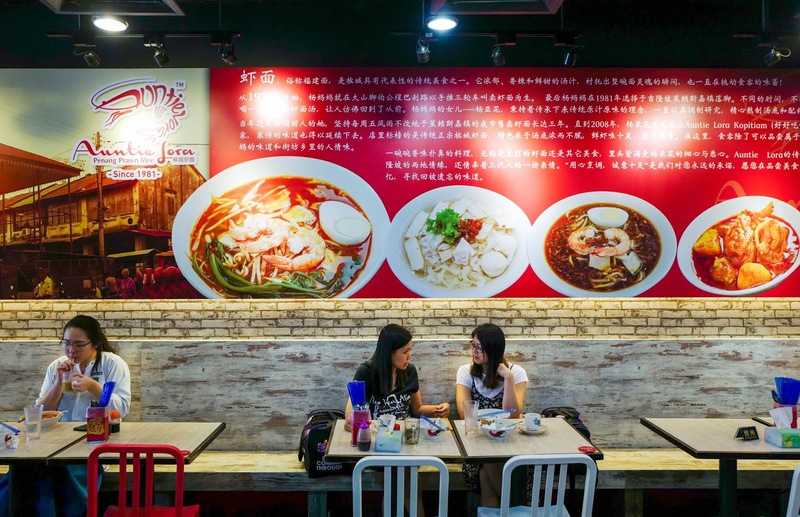 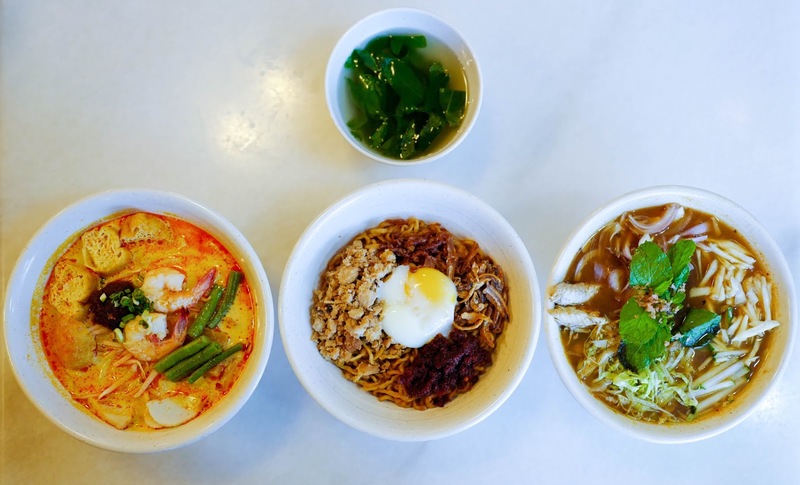 The same sense of care and conscientiousness permeates these bowls with soup made fresh every morning, including the the Asam Laksa (RM10.50), Penang Curry Mee (RM10.50), and ever-popular Nyonya Sambal Pan Mee with shredded chicken, anchovies, soft-boiled egg and sweetish sambal (RM11.10), each reasonably priced and portioned - an encouraging way to preserve one's culinary tradition while introducing it to a whole new audience. 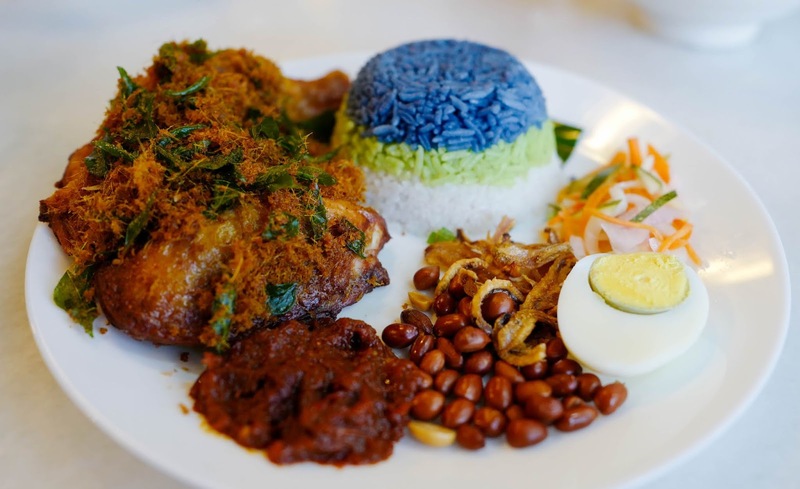 If you're looking for a unique creation, try Nyonya Cendol's Nasi Lemak 3 Rasa Ayam Goreng Berempah, a family recipe from Minangkabau brought in by one of the restaurant's staff members. 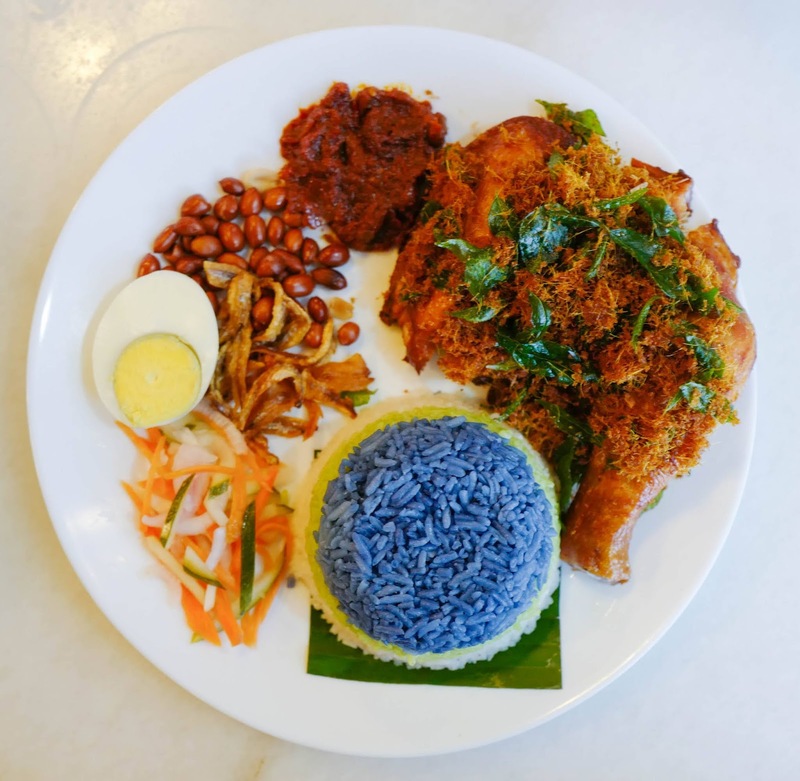 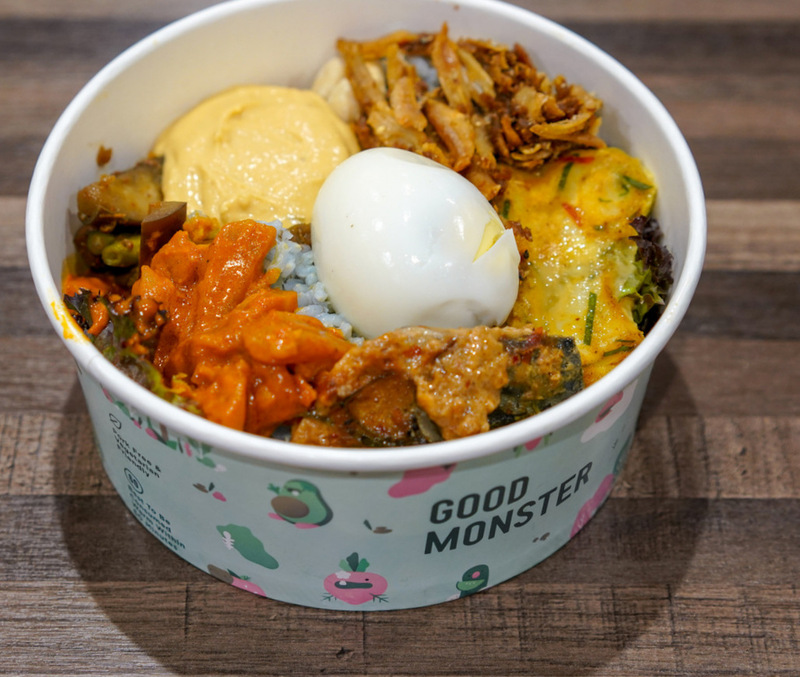 Elegantly eye-catching, the rice is lovingly layered in three varieties - the top is dyed with butterfly pea flower, the middle is laced with pandan juice, and the base is regular nasi lemak - making for a more nuanced interpretation of nasi lemak than the norm (RM17.30).